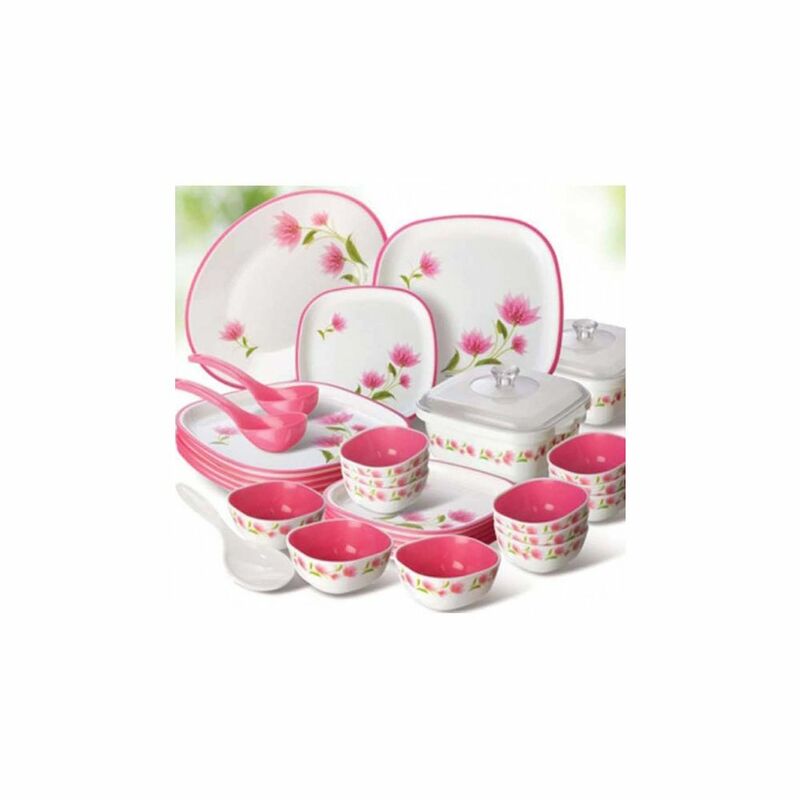 Nayasa is pleased to present its beautiful square shaped dinner set. Made of premium quality stainless steel. The set has been designed to suit Indian household. Aesthetically pleasing to the eye, the 6 person set is microwave and dishwasher friendly. It would add charm to any dining table, enough that you would be searching for reasons to flaunt it. Whether it be a marriage, anniversary, festival or simply to spoil yourself. The set makes for the perfect gift. Do Not Use Container To Heat Oil Or Foods That Contain A Lot Of Oil, Fat Or Sugar.